When a television series ends, stars of the show sometimes take props home with them as mementos. Even Kit Harington kept one thing from the Game of Thrones set after filming for the HBO drama concluded. 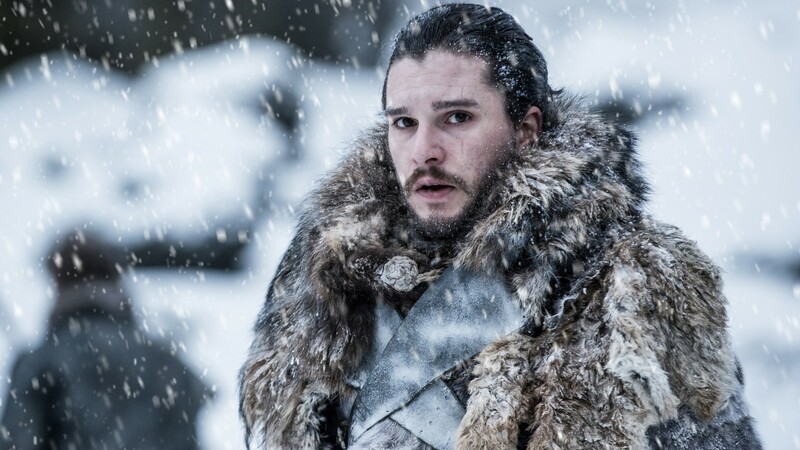 The actor known for bringing Jon Snow to life is now the owner of a prop many fans are well aware of — and one that just appeared in GoT‘s newest season eight teaser. For those who haven’t seen it yet, HBO has announced that the final season of GoT will premiere on Sunday, April 14, at 9/8c and dropped a brand new chilling teaser featuring the Stark children, Jon (Harington), Sansa (Sophie Turner) and Arya (Maisie Williams), returning home and reuniting in their family’s crypt at Winterfell. The sneak peek didn’t offer any new details about the upcoming seasons, but the footage was definitely foreboding. As for the prop that’s now at his home, E! News reported that during a recent appearance on The Zoe Ball Breakfast Show, Harington revealed he was lucky enough to be sent the crypt statue of himself seen in the teaser. If you’re wondering what he’s going to do with the statue, he won’t simply keep it in his shed and forget about it. No, Harington just might make it even more special than it already is. “I’m going to turn it into a water feature, I think,” he said. Now that is how you honor a show and a character that will forever be a huge part of your life. It’s totally understandable why Harington chose to keep the statue. He’s been part of the beloved series since the beginning, and it had to be extremely hard to walk away from GoT after all these years. What better way to remember your time than with a statue of your character? His words make complete sense because that’s exactly how it feels when a show that’s been loved by so many comes to an end. It’s definitely going to be hard to bid GoT farewell, and too bad we aren’t all as lucky as Harington to have a statue of Jon Snow to remember it by.